KATHMANDU, Oct 07: Helicopter Company denies the decision of Annapurna Village Municipality. Despite of various notice regarding the prohibition of operating helicopter has been released, the helicopter companies have been operating their commercial flights in Annapurna Base Camp(ABC). They have operated the flights 8 time on Friday in which 2 flights was for rescue and other 6 was commercial flight. According to the Spokesperson of Pokhara Airport, two flights were being conducted by Prabhu Helicopter for rescue and six commercial flights were being conducted by Simrik Air. 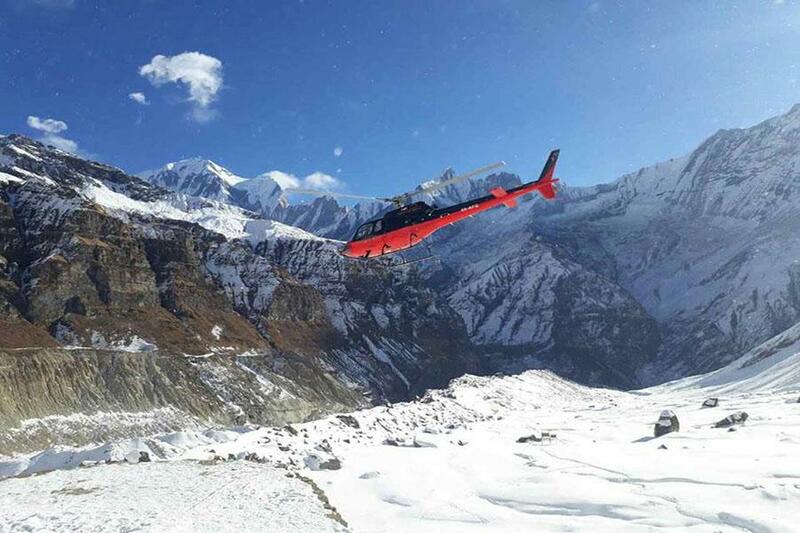 The Annapurna Municipality prohibited the operation of helicopter in Annapurna Base Camp to conserve the habitat of wildlife and to protect the environment.